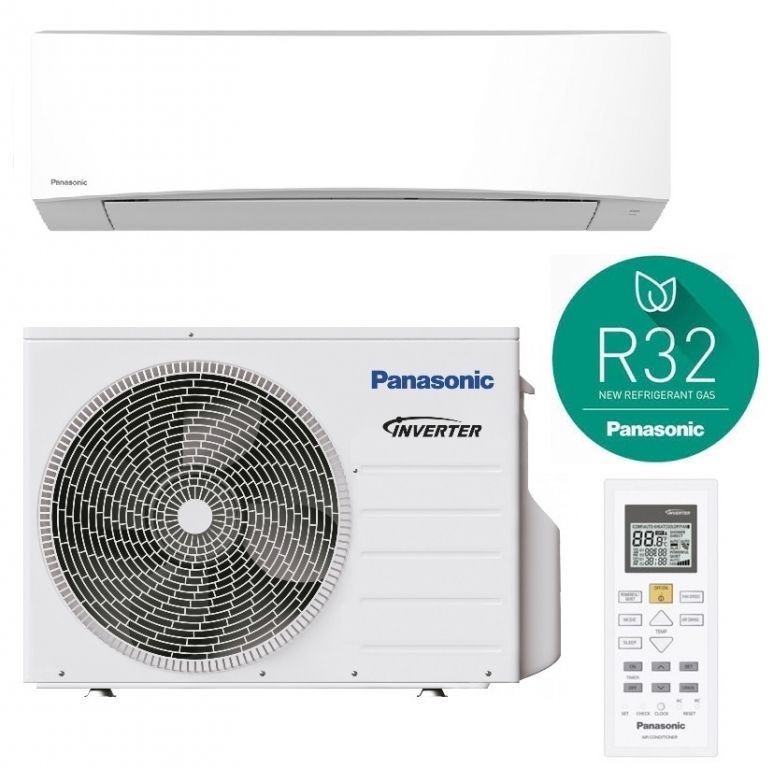 Panasonic CS-TZ35TKEW-1 air source heat pump uses the latest electronics in its inverter motor control to provide highly efficient heating and air conditioning year round. The system comprises a stylish and compact indoor wall unit with remote controller and outdoor unit. Features include optional Wi-Fi control and an ultra-quiet fan speed setting on the indoor unit of only 20dB. See the brochure below for full details.